After the release of the 2nd album, Saille faced an intensive year. They embarked on their first tour in January 2013, with Transylvanian black metal legends Negura Bunget. Followed by more gigs in Belgium and the Netherlands, supporting bands like Textures, Von, Winterfylleth and The Monolith Death Cult. Again, a promotional/official video for the opening track of the album “Blood Libel” was made and got its release set for June 2013. An official videoclip for the track ‘Blood Libel’ was released in June 2013. During summer, Saille was invited to perform on several festivals like Antwerp Metal Fest (with Napalm Death), Vlamrock (with Exhumed, Belphegor, Rotting Christ) and Metal Méan (with Marduk, Dying Fetus). The latter was recorded and filmed for a live video, to be released at the end of the year. In September, Saille went to the UK for some gigs as support to Winterfylleth, a British band they consider as friends since they first met on Graspop 2012. During this period Saille introduced Kevin De Leener as their new and permanent drummer. 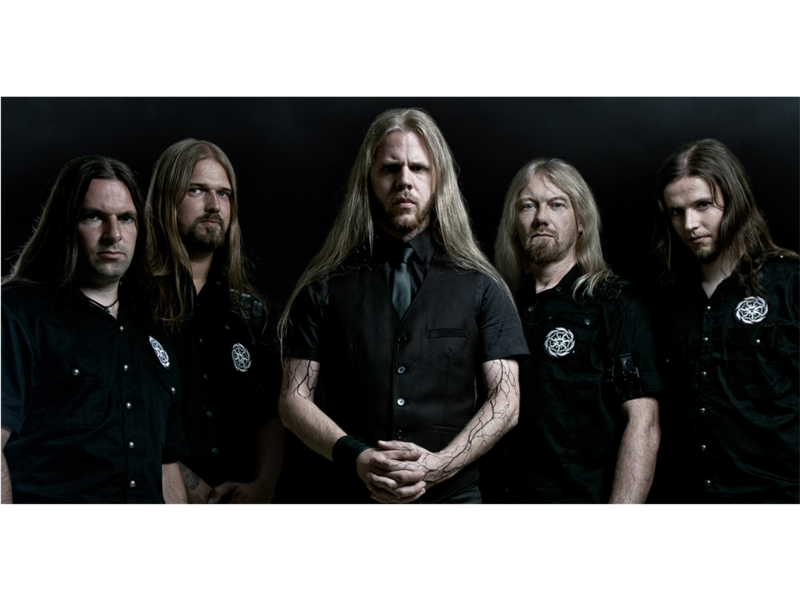 The band released another official video, a live recording of the track ‘Tephra’ (captured at Metal Méan) in November 2013 and went to Denmark for the first time for a headlining position on Black Winter Fest, Copenhagen. Still playing gigs in 2014, Saille prepared the third album. Like the year before, performing on many stages in Belgium and The Netherlands, but in April they set foot on English soil again, this time sharing stages with Ethereal (UK). Other mentionable gigs were the very successful Tongeren Metal Fest (with Asphyx, Angel Witch), a show supporting Carach Angren (NL) and last, but most definitely not least, the honour of playing in the ‘Ancienne Belgique’, Belgium’s nicest venue, sharing the stage with Merrimack and (The True) Mayhem. Eventually, in July, Saille played in Germany for the first time. In May the recordings commenced in different studios for a different approach. Again classical instruments were added. Mixing and mastering was done by Klas Blomgren from Sweden (known for his work for Svart’s last cd). In October 2014 Kristof Van Iseghem joined the band as their new bassplayer. On November 10th, ‘Eldritch’ was released by Code666, during a release show weekend of 3 gigs with Winterfylleth.